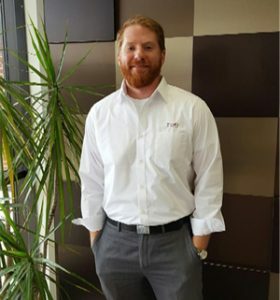 Meet CUSI’s own Brad Dial, Implementation Project Manager, in our latest Staff Profile! Summarize your responsibilities at CUSI. At CUSI, my responsibility is to ensure a smooth and timely transition from a customer’s existing billing software to our CUSI billing software. This means that I learn our clients’ daily operations and business acumen and make sure that our software meets their needs to the best of its ability, while also trying to streamline processes in order to make their billing life easier. What is your educational background? I received a B.S. in Marketing Management from Arkansas State University. What is your favorite part about your job at CUSI? My favorite part of working at CUSI is building relationships with our customers from all over the country. How do you create value for our customers at CUSI? I believe that Implementation is the building block of our customer’s initial relationship with CUSI. I aim to start that off on the right foot, building a positive, long lasting relationship with CUSI. What are your favorite hobbies you enjoy outside of work? I enjoy spending time with my friends, working around the house, going to the movies and trying to be outside as much as I can.